The CIA is prohibited from spying on people inside the country and on Americans abroad. 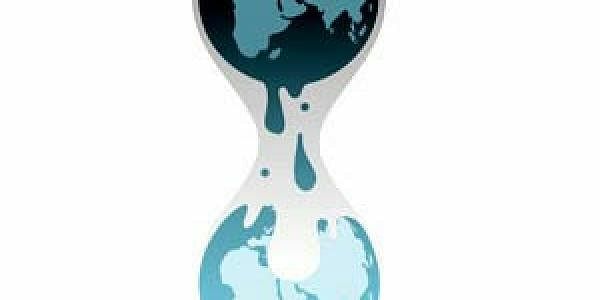 WASHINGTON: The Central Intelligence Agency has accused WikiLeaks of endangering Americans, helping US rivals and hampering Washington's fight against terror threats by releasing what the anti-secrecy site claimed was a trove of CIA hacking tools. A CIA spokeswoman would not confirm the authenticity of the materials published a day earlier by WikiLeaks, which said they were leaked from the spy agency's hacking operations. "The American public should be deeply troubled by any WikiLeaks disclosure designed to damage the intelligence community's ability to protect America against terrorists and other adversaries," said CIA spokeswoman Heather Fritz Horniak yesterday. "Such disclosures not only jeopardize US personnel and operations, but also equip our adversaries with tools and information to do us harm," she said. Horniak defended the CIA's cyber operations, which the WikiLeaks materials showed focused heavily on breaking into personal electronics using a wide range of malware systems. "It is CIA's job to be innovative, cutting-edge, and the first line of defense in protecting this country from enemies abroad," she said. She also noted that none of the purported activities were targeted at US citizens. The CIA is prohibited from spying on people inside the country and on Americans abroad. On Tuesday, WikiLeaks published nearly 9,000 documents it said were leaked from the CIA, in what it described as the largest-ever publication of secret intelligence materials. "This extraordinary collection, which amounts to more than several hundred million lines of code, gives its possessor the entire hacking capacity of the CIA," it said. The documents showed that CIA hackers can turn a TV into a listening device, bypass popular encryption apps, and possibly control one's car. Most experts believe the materials published by WikiLeaks to be genuine, and US media said yesterday that the Federal Bureau of Investigation is preparing to open a criminal probe into the leak, which could involve searching for a turncoat or sleeper spy in the agency. The Washington Post said the FBI is preparing "a major mole hunt" to figure out how WikiLeaks obtained the huge portfolio of hacking information, plans and tools. US justice officials would not confirm the investigation, which would come as the CIA is already enmeshed in a politicized probe into Russia's alleged interference in the US election last year to help President Donald Trump's campaign.